Click on the postcard, to customize! 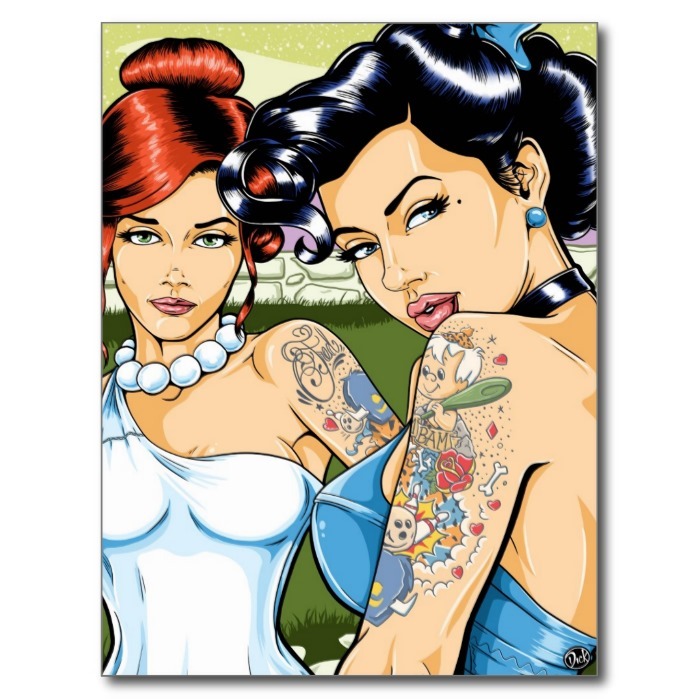 An art postcard featuring an alluring, acrylic on canvas painting of two strikingly attractive, bewitching, seductive, young ladies who happen to be your neighbors, looking straight at you, fascinating you even more. A captivating, beautiful work of art by Lee Richard Gren a.k.a. Dickcherry, featured here on a custom postcard. Makes a great mail to friends and family.